Dealers and manufacturers of pontoon boats at Mercury Marine&apos;s dealer meeting were impressed with the new Mercury FourStrokes’ Command Thrust gearcase, which delivers a better bite in the water. ORLANDO, Fla. — Dealers and boat manufacturers at Mercury Marine’s dealer meeting this week have been impressed with the power output and quiet operation of Mercury’s new 115-hp FourStroke outboard and its new 4.5-liter 250-hp gasoline sterndrive powerplant. Representatives of 600 Mercury dealerships from around the world gathered this week for the three-day event, which wrapped up on Tuesday at the Coronado Springs Convention Center. Mercury has not held a global dealer event in 11 years because of the global economic situation. The last event was held in conjunction with the release of the Verado V6 4-stroke engines. For this event, the company was touting its 75-, 90- and 115-hp FourStroke outboards and its new 250-hp 4.5-liter gas sterndrive, which is the first gas sterndrive engine built entirely in-house by Mercury. The company previously used automotive engines. The company had 36 boats in the water for dealers to test. There were also 43 boats on display at the convention center’s expo center. And Mercury displayed engines from throughout its 75-year history in a special area within the expo display, similar to the displays it has at its museum in Fond du Lac, Wis. 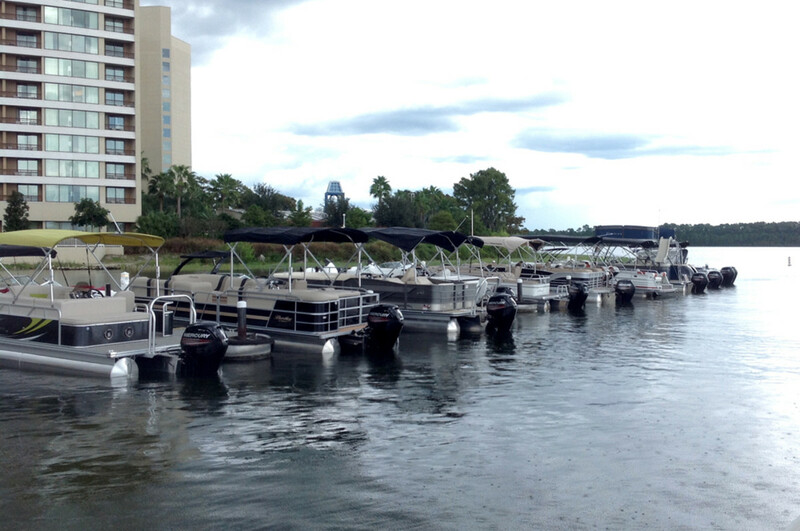 The test boats were in the water at a separate resort location on a small lake. As they came off the boats, dealers and boat companies were raving about the Adaptive Speed Control feature of the 4.5-liter engine, which maintains a set rpm despite current wind and steering changes, Clarkson said. “A lot of operators want to set the speed at 18 or 20 mph and keep that speed through their turns,” he said. The Command Thrust gearcase of the 115 FourStroke makes a big difference on pontoon boats, said Mike Soder, co-owner of the Fish & Hunt Shop in Curtis, Mich., a Mercury dealer for more than 50 years. Soder is a dealer of Sylvan pontoons and Lund boats.